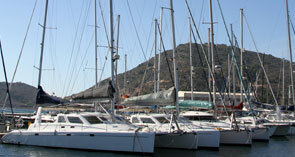 Yacht Port Cartagena is situated on the north-east side of the harbour. Even if is not your first time in Cartagena please call on VHF Channel 9 to “Yacht Port Cartagena” when you are close to the lighthouses, specifying the name and the length of your boat. 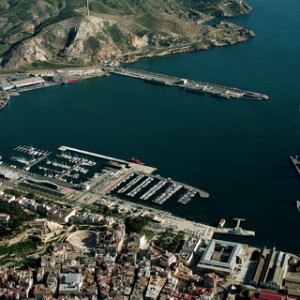 We will give you all the information you need about the position of your berth. 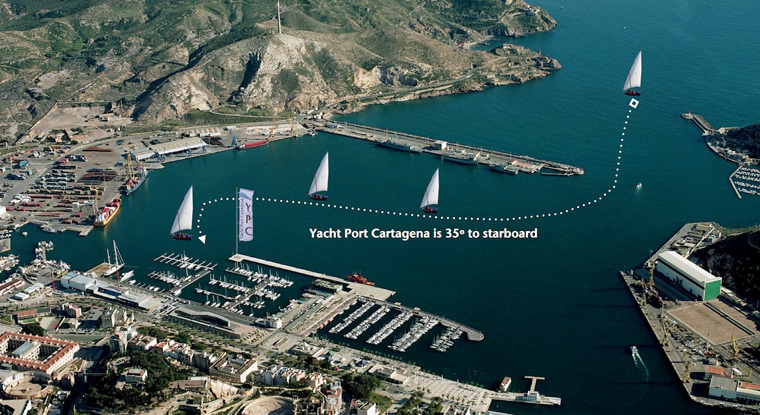 Below you can see a satellite view of Cartagena’s harbour, with the red and green lighthouses and the course to Yacht Port Cartagena.